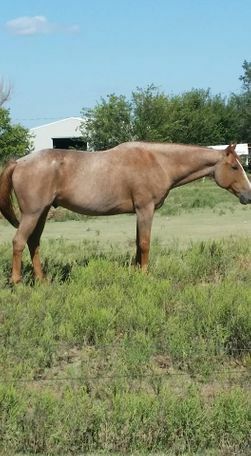 Pinky is a gorgeous red roan solid gelding, registered with APHA. He goes back to Triple's Titan and Calico Sonny....and it shows! He's being offered for sale because my knees have gone bad and I can no longer get up on him. 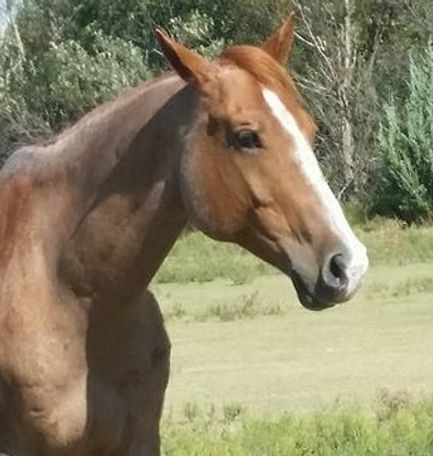 While he was gentle broke and quiet, it's been at least 4 years since he's been ridden. I would expect him to hump up and fire off a little on the first ride. You are buying him as is, although I am guaranteeing him to be 100% sound. 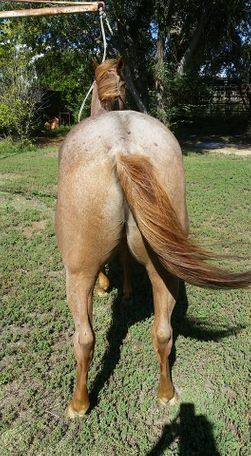 If you have a couple of weeks to put in settling him down and tuning him up, you will have a wonderful mount. 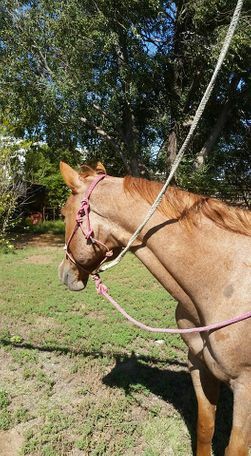 I have had him since he was a yearling and it's killing me to part with him but he needs to be where he'll be used and appreciated.